Adobe Premiere Elements 8 is aimed at home users rather than high-end enthusiasts, but has always impressed with its features and usability. This latest update includes a host of new tools, such as a new organiser that makes tagging and cataloguing your content easier, as well as other key enhancements. The interface remains largely unchanged in this latest version, so you can switch effortlessly between manual editing mode and the easier Make Movie mode. However, big changes are in evidence with this latest version; namely, the new Organiser interface, which allows you to easily tag, sort and share images and videos, as well as quickly start up and use other Adobe Elements tools – something previous versions of the software could not do. Premiere Elements has always been known for its wide range of add-ons for casual users, such as clip art, themes and transitional effects, and this latest version is no exception, as you'll find more than ever included on the installation DVD. However, we found the new enhancing and trimming tools far more impressive. The new Smart Trim tools bring a welcome automated motion tracking feature that scans for poor quality clips and marks them out, making them easy to edit out. Another new feature is Smart Fix, which can be set to run as soon as you import any new piece of footage. It works by checking the video for shaky camera work, poor lighting and blurred images and works to fix them before you get to edit them. It works reasonably well but, as with Smart Trim, it always pays to check the results before making final cuts as the end result can sometimes be a little drastic. 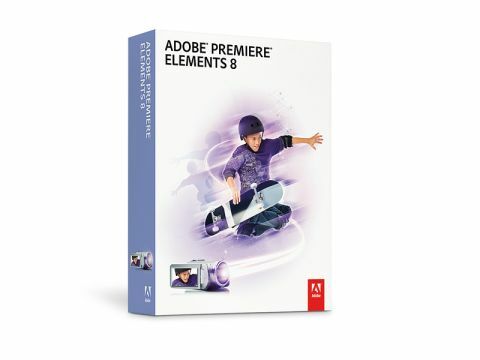 Adobe Premiere Elements 8 remains one of the most effective and appealing video editing suites you can buy. Ideal for the first-time user, it's easy to get to grips with and, even if you already use an older version, there is enough in this release to make it worth upgrading.